Founded as a luxury leather goods house in 1854, Louis Vuitton was for many decades one of the world's leading trunk and accessories makers. It was after launching its first fashion collections in 1998, however, that the house reached unprecedented global fame, and pioneered high-profile collaborations with artists such as Richard Prince, Takashi Murakami and Stephen Sprouse. This definitive publication opens with a concise history of the house, followed by brief biographical profiles of Marc Jacobs, the first creative director 1998-2014, and Nicolas Ghesquiere, who helms the brand today, before exploring the collections themselves, organized chronologically. 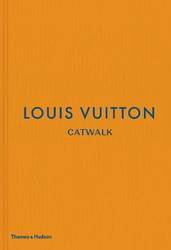 Each collection is introduced by a short text unveiling its influences and highlights, and illustrated with carefully curated catwalk images. Showcasing hundreds of spectacular clothes, details, accessories, beauty looks and set designs - and, of course, the top fashion models who wore them on the runway, from Naomi Campbell and Gisele to Kate Moss and Cara Delevingne. A rich reference section, including an extensive index, concludes the book.